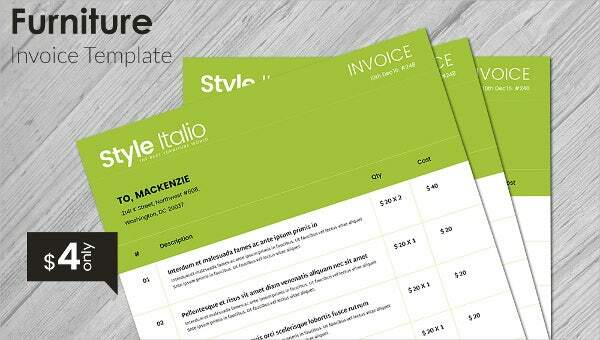 Creating stack of Invoice every month is not a tedious task now, as the ready to print invoice template is available with well-organized content. 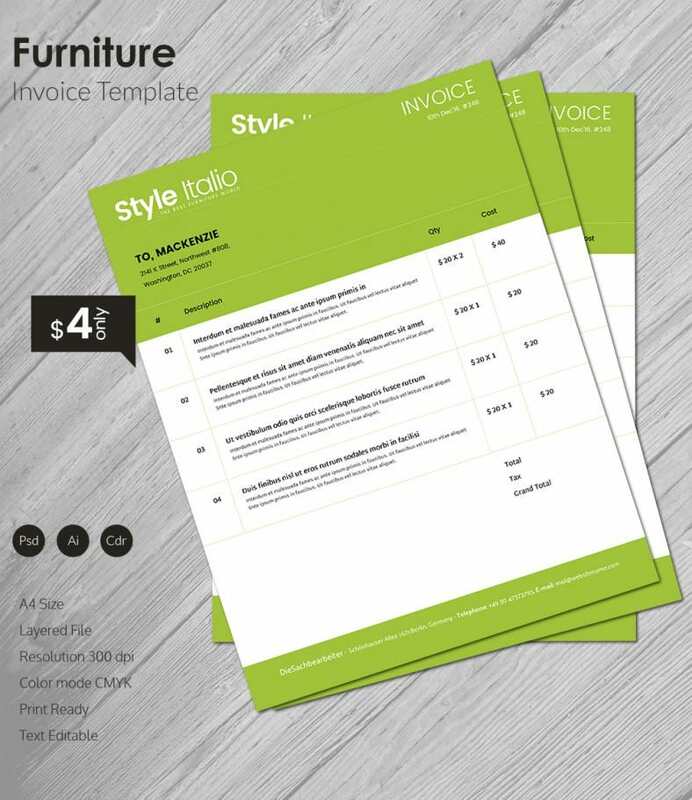 This invoice template is perfect for furniture companies, and it features table with columns for description, quantity and cost to provide an accurate bill to the customers. It displays the company name along with the name and address of the receiver on the upper green part of the invoice whereas other details are imprinted on the blank white background for better visibility. Download this amazing invoice template at a reasonable price and send a presentable invoice of furniture purchase to the customers.